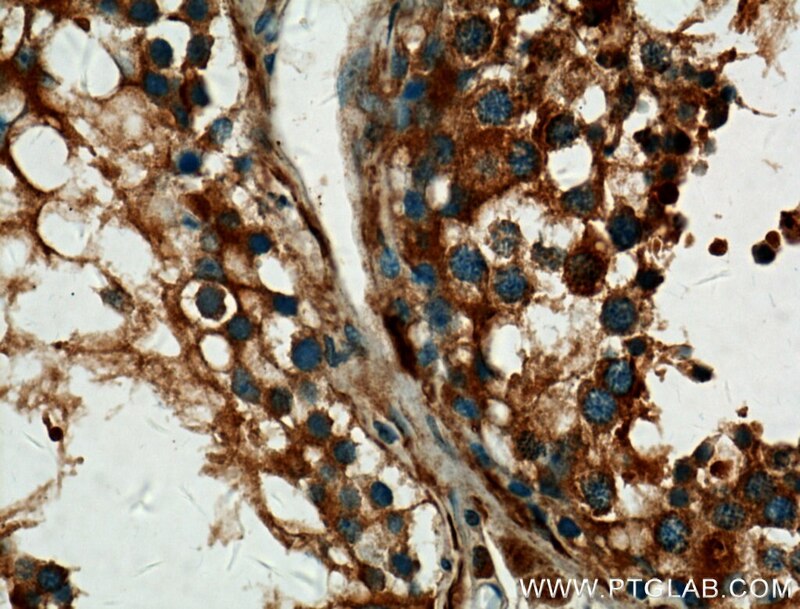 IP Result of anti-ALDH1A2 (IP:13951-1-AP, 4ug; Detection:13951-1-AP 1:300) with mouse testis tissue lysate 4400ug. 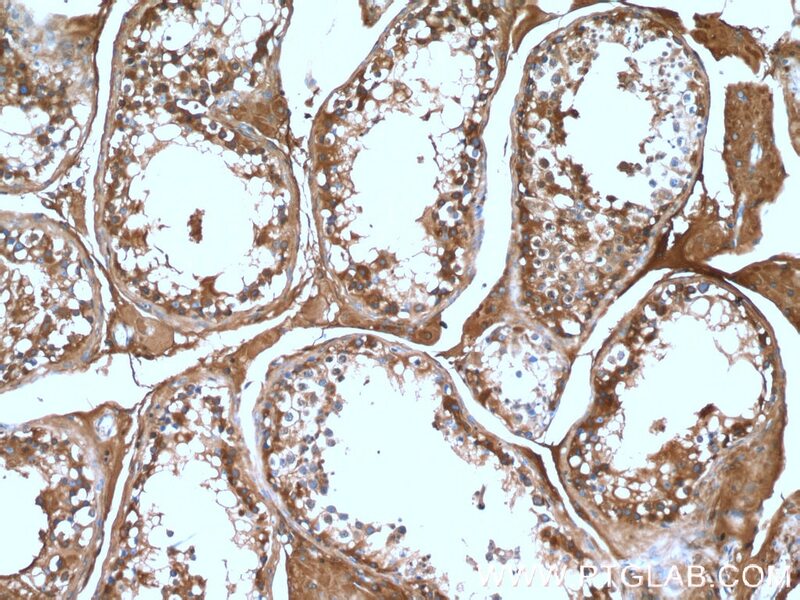 Immunohistochemical analysis of paraffin-embedded human testis tissue slide using 13951-1-AP( ALDH1A2 Antibody) at dilution of 1:200 (under 10x lens). 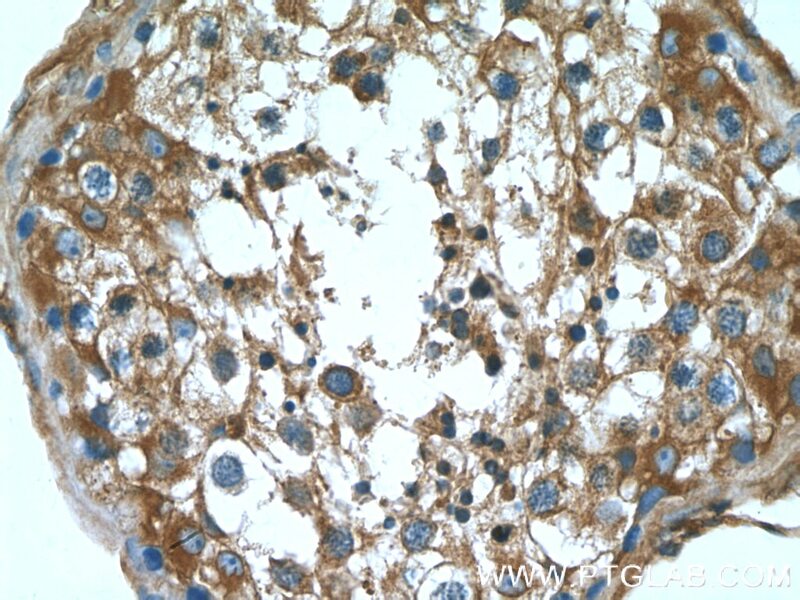 Immunohistochemical analysis of paraffin-embedded human testis tissue slide using 13951-1-AP( ALDH1A2 Antibody) at dilution of 1:200 (under 40x lens). ALDH1A2(aldehyde dehydrogenase family 1 member A2) is also named as RALDH2(retinal dehydrogenase 2) and belongs to the aldehyde dehydrogenase family. It is a cytosolic homotetramer(56.7 kDa subunits) exhibiting complex expression patterns throughout embryonic development. ALDH1A2 plays a role in retinoid metabolism during embryonic development where it is considered to be the major retinoic acid-synthesizing enzyme during early embryogenesis(PMID:20735668). 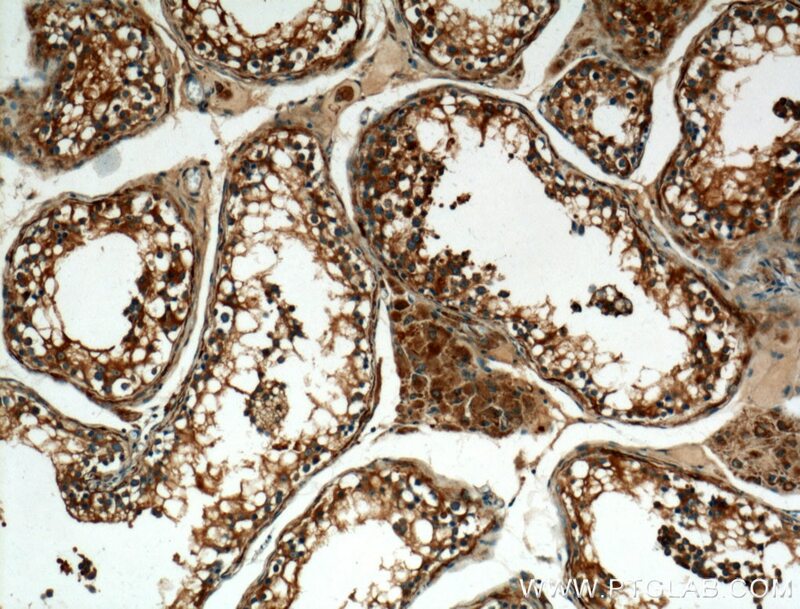 Its expression is reduced in primary prostate tumors compared with normal prostate tissue suggested that it is normally expressed in the epithelial compartment of prostate tissue(PMID:16166285).It has 2 isoforms produced by alternative splicing. Retinoic acid signalling is activated in the postischemic heart and may influence remodelling. Importance of ALDH1A enzymes in determining human testicular retinoic acid concentrations. 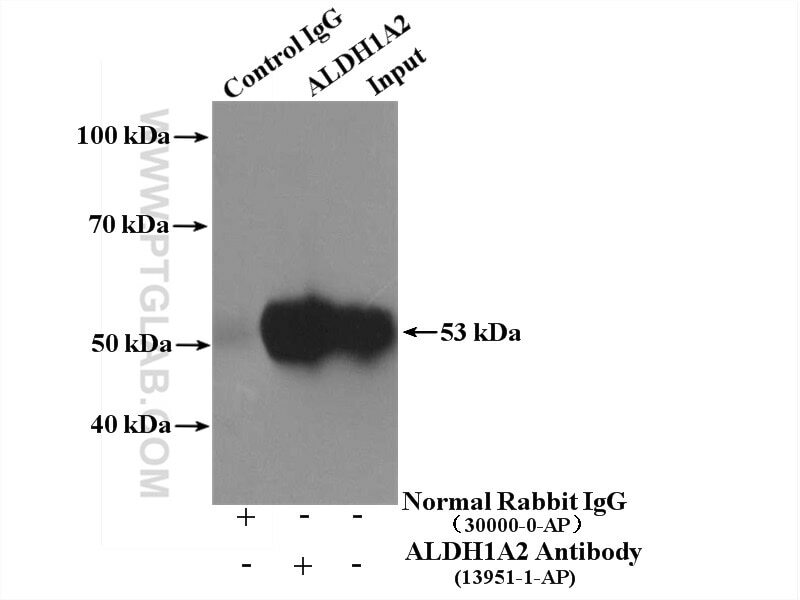 ALDH Enzyme Expression Is Independent of the Spermatogenic Cycle and Their Inhibition Causes Misregulation of Murine Spermatogenic Processes. Sources of All-Trans Retinal Oxidation Independent of the Aldehyde Dehydrogenase 1A Isozymes Exist in the Postnatal Testis.